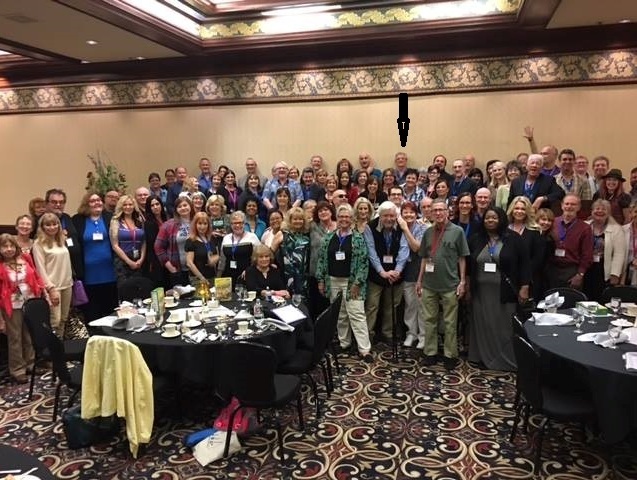 It’s with a touch of sadness and a bit of relief that the 2017 Las Vegas Writer’s Conference came to an end on Saturday night, April 22, 2017. I look back on those three wonderful days and it’s hard to sum up all the happy and fulfilling feelings, as I do every year from this big event. I would hope others that attended came away with at least some of those same feelings. With this being my twelfth writer’s conference, it might seem like old hat by now. I never fail to have a great time. As usual, I arrived way early, though because of short staffing at Starbucks, I arrived only about five minutes to 8 and there were already other people in the rooms. Gregory Kompes, our current and outgoing club el-presidente as well as Paul Atredies, the conference coordinator were there. I started setting up the registration table, the room easels and I put on the room signs. In the meantime, more volunteers showed up and got all the swag and the booklets and bags and set up the room where we started an assembly line to stuff the attendee bags. After I did my other stuff, I helped with the bag assembly line. During all that, Linda Webber, Toni Pacini and Amana Skenandore showed up to set up the silent auction and raffle items for display in the main room. By 10 AM, we pretty much had everything ready to go. Though there were minor glitches, to be expected, especially for a sold out conference, things went well over the next three days. One of the big points of attending a conference is to meet people and circulate. This is no place to be a wallflower. One advantage to working the registration desk and handing out badges is that we get to meet everyone and I certainly did! This not only includes the attendees but the faculty. Of course it’s not in-depth, but at least we can put a name to a face, though with my short-term memory, it took a bit more reinforcement later for that to sink in. As soon as the initial flood of registration took place on Thursday and the first classroom sessions started, I was able to break from the desk a bit. I took a class for on-line marketing and it was well worth it. On Friday, I took one on beyond Google internet searching. It was geared mainly toward non-fiction, but it’s something applicable to fiction as well. I certainly used it already in Lusitania Gold. On Saturday, I sat in on a bit of a course on symbolism but it wasn’t really for me and then one on multi-faceted characters. I made it almost halfway through that one. 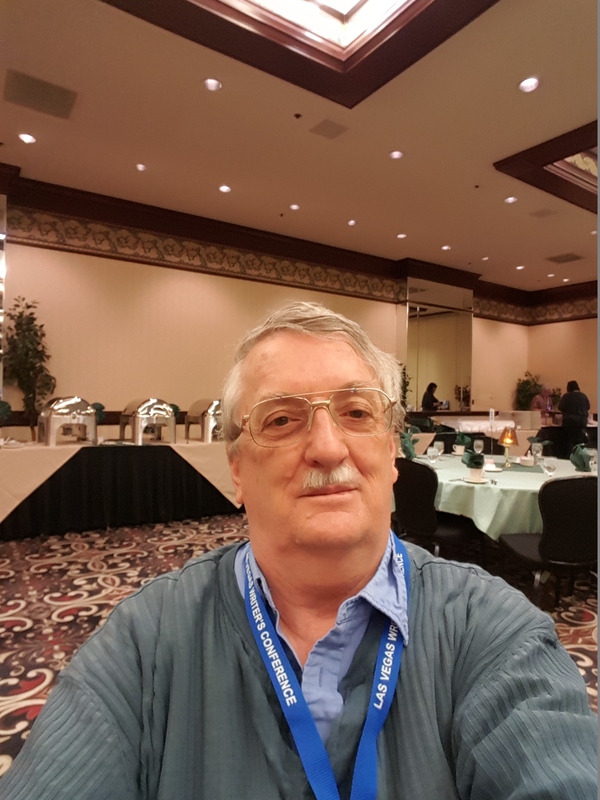 Between classes, I talked with attendees and a few staff, off and on, and got to know some of the people, what they wanted out of the conference, why they were there. I was glad to hear that not everyone attended just to pitch to agents. A good number of people came to learn about the craft of writing. Some didn’t have a completed manuscript and wanted more direction. This is something I’ve talked about over and over again and I see people have done just that. I was one that had no interest in pitching. Though I still have not submitted my icky bug novels to my publisher, I’m not actively pursuing their publication at this time. I’m concentrating on my fantasy and adventure-thrillers at the moment. We had several people come up to the registration table and relay their fears and frustrations about pitching. My partners in crime at the table, Donald Riggio and Ray Katz and I talked with them about different aspects of the subject. We convinced one girl, in particular, to shift from her young adult to her fantasy novel, which she should’ve pitched in the first place. She ended up getting asked for the first fifty pages (or something like that). At first she wasn’t even going to pitch it and we talked her into it, so that was one success story. At one of the meals, I forget which one, I sat at my usual table. I do this every year and usually get a different crowd each meal. I talked to one lady that wasn’t sure if she was going to pitch and I talked her into trying for practice. I never did find out if she was successful. 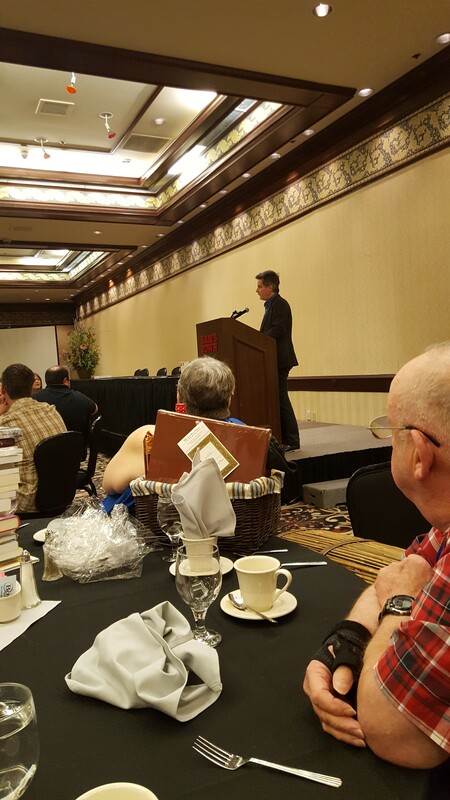 Our keynote speaker was super literary agent, Donald Maass. He’s known for his book, Writing The Breakout Novel. He was our keynote speaker and also was conducting a special seminar on Sunday, the day after the conference (which I didn’t attend). When he arrived on Friday, we chatted a bit and both me and Donald Riggio told him how he’d rejected us. He rejected me three times but I soldiered on and have been writing 21 years and piled up 689 rejections bla bla bla. During Donald’s keynote speech, Saturday night, his subject was hope. In it, he indirectly mentioned me and my 689 rejections. He got the number wrong, but the intention was there! After the conference, I got in line to shake his hand and thank him for mentioning me during his keynote. However, he kept bypassing me and talking to other people. By that time I just wanted to get home so I walked away. I was tired, wanted to get home and had had enough. One other good thing. I’d brought a stack of Treasure Of The Umbrunna to the conference bookstore. I sold one, to who, I have no idea. I would’ve been glad to sign it.